Accepted Here (Credit Card) Stickers. All our stickers are carefully produced from high quality vinyl. Anyone can easily follow and Install a perfect graphic. 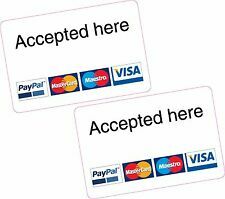 We can also accept all major credit cards. TO GIVE A RAISED HIGH GLOSS FINISH. 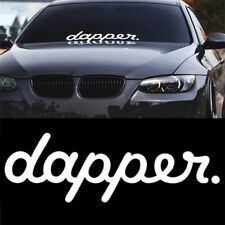 LIMITED EDITIONstickers/decals. to view more of our products. 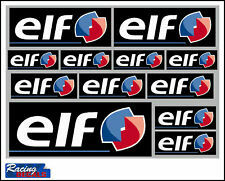 1 x A5 size sheet with 12 separate Elf stickers/decals. SIMPLY PEEL AND STICK. PRINTED & CUT ON HIGH QUALITY ADHESIVE VINYL. Sticker - Decal Set. 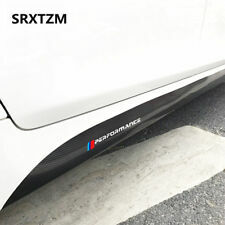 BMW M competition MIRROR DECALS / STICKERS / GRAPHICS x 4. ALL AVAILABLE COLOURS ARE SHOWN IN FINAL IMAGE. ALL OUR STICKERS AND DECALS ARE NOW MADE WITH PREMIUM 7 YEAR HIGH TEMP VINYL. ALL DESIGNS CAN BE MADE IN A SINGLE COLOUR. Made from tough aluminum/gel resin with adhesive sticker on rear. DECALS GRAPHICS X4. It does NOT have any background -that's why vinyl stickers are most popular! DEFAULT COLOUR IS RED/BLACK BUT IF YOU WANT change to any colour from. Default in RED/BLACK colour! This is a great precision computer cut vinyl graphic which would make an eye-catching addition to your car. 2 Renault sport vinyl stickers. 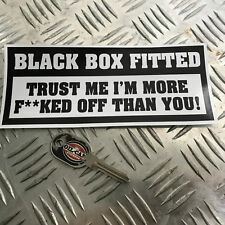 FUNNY STICKERS. 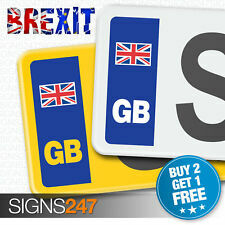 The sticker has no background and is applied directly to exterior surfaces to produce a professional finish. There are 32 colours from. Applying them is an easy and straightforward process. 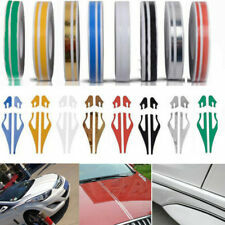 CAR SIDE SKIRT DECALS GRAPHICS x2. Default colour is BLACK 101, but if you want any other colour from last picture. Default left and right in BLACK 101 colour! It does NOT have any background -that's why vinyl stickers are most popular! ALL AVAILABLE COLOURS ARE SHOWN IN FINAL IMAGE. BMW M LOGO MIRROR DECALS / STICKERS / GRAPHICS x 4 IN GREY. ALL DESIGNS CAN BE MADE IN A SINGLE COLOUR. 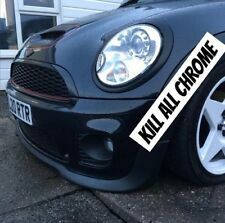 This is a precision computer cut vinyl graphic which would make a great addition to your cars mirrors. 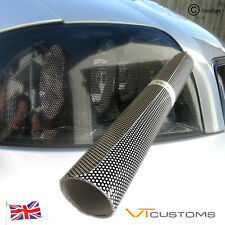 2 x Range Rover Aluminium Carpet Badges. Made From Aluminium With Polished Letters. Size - 138 mill x 20 mill. VOLKSWAGEN LEFT AND RIGHT CAR SIDE SKIRT DECALS GRAPHICS x2. Default colour is BLACK 101, but if you want any other colour from picture. This is a great precision computer cut vinyl graphic which would make an eye-catching addition to your car. !! !PREMIUM QUALITY-OTHERS AVAILBLE-CHECK OUR SHOP!!! 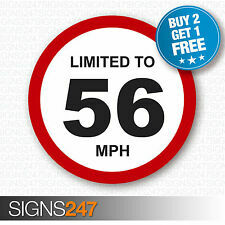 Supplied in grey and red vinyl as standard (other colours available upon request only). ALL AVAILABLE COLOURS ARE SHOWN IN FINAL IMAGE. AUDI S line LOGO MIRROR DECALS / STICKERS / GRAPHICS x 4 IN SILVER/RED VINYL. RENAULT SPORT MIRROR DECALS / STICKERS / GRAPHICS x 2 IN SILVER AND RED GLOSS VINYL. Supplied in grey and red vinyl as standard (other colours available upon request only). ALL AVAILABLE COLOURS ARE SHOWN IN FINAL IMAGE. 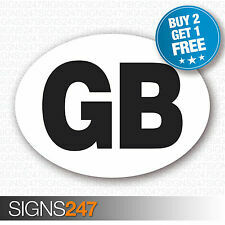 CAR SIDE DECALS GRAPHICS x2. It does NOT have any background -that's why vinyl stickers are most popular! Made from high quality 5 year exterior grade glossy vinyl. This is a great precision computer cut vinyl graphic which would make an eye-catching addition to your car. Colour :Gloss Black (See picture for style).
! !PREMIUM QUALITY-OTHERS AVAILABLE-CHECK OUR SHOP!! TO GIVE A RAISED HIGH GLOSS FINISH. Limited Edition sticker/decal. ALL AVAILABLE COLOURS ARE SHOWN IN FINAL IMAGE. 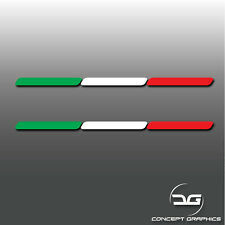 GREY/RED AUDI MIRROR DECALS / STICKERS / GRAPHICS x 2. There are 2 ways to send your colour choice. add colour choice and send. ALL DESIGNS CAN BE MADE IN A SINGLE COLOUR. 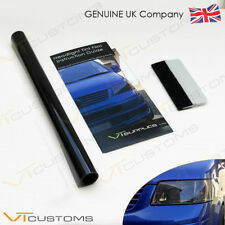 Volkswagen STICKERS Decal Vinyl 200mm x2 Car Wing Panel Dorr Sill Etc. (We can print/cut these in any colour. Just ask :). 2x Volkswagen stickers. These are full colour, outdoor suitable stickers and are produced on outdoor grade gloss or semi gloss vinyl of either 75 or 100 grade. 2pcs x Honda (dia 60mm) logo in gold/black. Domed 3D Stickers/Decals. Thickness app. -Place the sticker on to the place, rub it gently and keep it pressed for approx. 20 seconds. SIZE - 100mm X 7mm. RED/GREY FORD performance LOGO MIRROR DECALS / STICKERS / GRAPHICS x 4. There are 2 ways to send your colour choice. add colour choice and send. A great detail for any car. ALL DESIGNS CAN BE MADE IN A SINGLE COLOUR. 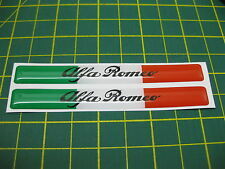 2 pcs x ALFA ROMEO QUADRIFOGLIO (width 90mm). Domed 3D Stickers/Decals.